Fields remain closed until further notice so academy has been cancelled this evening! Don't forget to register for the Player Assessments. U11/U12 (current U10/U11) Assessments start next week and you need to register by midnight the night before 1st day of assessments. The City of Delta has closed fields all weekend so there will be no games on Saturday, February 23, 2019. For an up to date schedule of DCS Evaluations, please visit their website HERE. As per the City of Delta, fields remain closed until further notice. We will advise the membership once they have been re-opened. Each year North Delta Soccer Club recognizes three special people in our organization. We choose these people with the help of all our membership. We are asking you all to nominate people for each of the Awards. This one award is given to a player that is outstanding both on and off the field. This player is actively involved with the community on and off the field. This player is a proven role model for the club. The NDSC Player Representative will be rewarded with a trophy that is presented at our AGM. This award is chosen from nominations submitted by any club member (player, parent, coach etc) and voted on by the award committee. This award goes to the Coach that goes above and beyond the expectations of a coach. This award is chosen from nominations submitted by any club member (player, parent, coach, etc) and voted by the awards committee. This award is given to the person that goes above and beyond the expectations of a volunteer. This award is chosen from nominations submitted by any club member (player, parent, coach etc) and voted on by the award committee. Please click below to nominate for any of the 3 awards. There are no games on Saturday February 16, 2019 due to field closures. All outdoor training sessions have been cancelled this evening as Delta fields remain closed. For U6/U7 gym training sessions - these are a GO for this evening. Unfortunately, the school district has just advised the club that they will be closing gyms this evening, therefore, there is no Intro Program tonight. All fields remain closed for Wednesday, February 13, 2019 so there is no outdoor training sessions this evening. All indoor programs will resume this evening. Please check your emails throughout the week for any other cancellations. Our Extraordinary General Meeting has been cancelled this evening due to the projected snowfall warning throughout the day. The meeting has been rescheduled for Wednesday, February 27, 2019 at 7:00pm at Mackie Clubhouse, 10900 82 Avenue, Delta, BC. If you would like to find out more information before the meeting, click HERE for the Q&A from the Town Hall meeting that was held between both clubs on January 30th! All outdoor and indoor training sessions have been cancelled for Tuesday, February 12th 2019. All fields are closed due to the snowfall, therefore, the Academy Program has been cancelled this evening. As we are all aware, the past week we have had a cold snap hit the lower mainland. The temperatures at practice times were reaching -5 with windchill. NDSC will always put child safety first and with these cold temperatures and the turf fields hardening up, we made the calls this week to cancel soccer practices and home games this past week. Unfortunately, the upcoming week does not look any better with highs of +4 and lows of -7 degrees and multiple days with flurries. We will inform you each day to the decision to play or cancel that days events. We understand that you all have diverse and busy lives and that is why we make the call in the morning each day for practices that evening. Keep in mind, a clear sunny afternoon can turn into a cold evening. No refunds will be provided due to weather cancellations. We appreciate your understanding and your mutual concern for the well being of all the members of NDSC. Lets hope the cold snap ends and we can get back to playing the game we all love. Please check your emails each morning for details from the club of the evening and game day events. Unfortunately due to freezing temperatures and the forecasted snow and wind this weekend we have made the decision that in the interest of player safety we will be postponing this weekends Evaluations. The Evaluations will still take place at Dugald Morrison Turf located at 5755 Mountain View Blvd, Ladner. All HOME games have been cancelled due to weather conditions. If you are playing away games, your coaches will be confirming if games are still on. All outdoor training sessions have been cancelled this evening due to freezing temperatures this evening with the wind chill. Please check your emails over the next few days for any game related cancellations. All outdoor training sessions have been canceled again for this evening due to the freezing temperatures we are currently experiencing. As previously mentioned, we will be assessing the weather conditions throughout the week so please check your emails for updates. We appreciate your cooperation at this time. All outdoor training sessions have been cancelled this evening due to the cold front we are currently having. Please note that we will be assessing the weather on a daily basis throughout the week so please check your emails for any updates. Due to weather conditions, the academy program has been cancelled this evening. Just a friendly reminder to always check your emails before leaving for all games and practices for any cancellations. Thank you to all the parents from NDSC and Surdel Soccer Club who made it out to the Townhall meeting. We had a good turnout and some good discussions with both clubs' members! We are excited at the prospect of the merger with Surdel! We have posted a Q & A (Questions & Answers) HERE, so if you missed the meeting, you can read all about the questions that were asked. Notice is hereby given to all members that an Extraordinary General Meeting of the North Delta Soccer Club will be held on Tuesday, February 12th, 2019 @ 7pm at Mackie Clubhouse, 10900 82 Avenue, Delta, BC. NDSC members are invited to a Town Hall Meeting for an open discussion about the proposed merger of the boys and girls soccer clubs of North Delta. *Please NOTE the change of meeting rooms, we are now in HALL A @ the North Delta Rec Centre. Registration is now open for all motivated 2007 born players who wish to be evaluated and considered for Delta Coastal Selects Boys & Girls Intake U13 Metro teams for the 2019/2020 season. There is a non-refundable $15 Evaluation Fee payable by credit card at the time of online registration. Registration and payment is mandatory. NO WALK UP REGISTRATIONS AND/OR PAYMENTS WILL BE ACCEPTED ON THE DAY OF THE EVALUATIONS. Note, online registration must be completed by midnight the day prior to the first evaluation session. DCS Evaluations will take place at Dugald Turf located at 5755 Mountain View Blvd, Ladner. Please arrive 30 minutes before evaluation start time to allow for check-in located in the Clubhouse. 1st day of our Intro Program for 2019! We are excited to invite you to a Town Hall Meeting for an open discussion about the proposed merger of the boys and girls soccer clubs of North Delta. Our Intro to Soccer Program (players ages 3-4) starts on January 9th and we are looking for some energetic and dedicated Junior Coaches for this program. The program is run by Staff Coaches however we are looking for Junior Coaches to assist these Staff Coaches with set up, clean up and assisting with coaching these young intro players. Junior Coaches must be committed to being available for the duration of the program. Program Dates: January 9th to February 27, 2019. Once a week, every Wednesday. Our half season Academy Program registration is now open! The Academy Program offers extra training (additional training outside of regular team practice) that will help all players develop their individual skills and game play. This is also the perfect opportunity for those players wishing to move up in level: they will be placed within a group by ability and/or age where they will most succeed and grow. Players development will be continuously assessed throughout the program, there may be player movement in order to benefit each player and help them strengthen all their abilities and skills. NDSC's Academy goal is to grow interest and love for the game of soccer, and to assist all players in achieving their goals, whether it be moving up from house to DEV level, or from DEV level to Varsity. Thanks to everyone who came out to the Pancake Breakfast today. We had an awesome turnout of parents, players,coaches, Board of Directors , Staff .....and let's not forget Santa Clause and Kicker!! Thanks to all the volunteers that helped make this event a successful one! Check out our video of the event on the below link! A big THANKS to our sponsor De Dutch for sponsoring the event with their amazing pannekoeks! U6/U7 Training Sessions have been cancelled this evening at Mackie Turf. U8-U18 - Cancellations are at the discretion of Coaches so please check your email before you leave for your session this evening. As part of giving back to our community, NDSC is excited to be sponsoring a family of 4 this Christmas with the help of Deltassist. Deltassist is a non-profit organization dedicated to the well-being of Delta residents and we are happy to assist them this Christmas. Monday, December 10th from 7:45-8:45pm @ Delsom Turf (south end dug out - closest to south parking lot). Cash Donations will be used to purchase gift certificates for turkey/dairy products as well any items that are not donated. Pancake Breakfast - December 4th! Come join us for our Annual Pancake Breakfast! Each canned donation for the Surrey Foodbank gets you a scrumptious pancake breakfast so be sure to come out and visit us! We will also be having our Gear Sale so come out and stock up on some Christmas Gifts. Due to a current rain fall and wind warning, academy has been cancelled this evening. Please click HERE to view information about the upcoming BCSPL Intake Information Meeting for U12 Parents. We are excited to announce our second round of Coaches Education Sessions for our Coaches. These in class room sessions promise to be extremely educational and action packed and led by our very own UEFA A and soon to be UEFA PRO licensed Technical Director, Martin Bittengl. For coaches who have training sessions during this time, we will have their session covered by our Technical Staff if both the Head & Assistant Coach will be attending the Education Session however you need to ensure that this is noted on the RSVP form below. If coaches are not attending, we ask that the coaches run their own training session. U8-12: Coaches will be watching a video of our U12's playing a game and will go over the play, formation, details of support play (in the attack and defense), players formation etc. Coaches will spend a good portion of the time doing this so all our teams have an idea what philosophy we should follow and what to look for during our games. Based on this Coaches will discuss how to work on things we need to improve during practices and translate these into drills. We would like all coaches to prepare a few drills and bring them with you to this session (depending on the age group) - 1v1, 2v2, 3v3, 2v1, 3v2 drills, passing, receiving, finishing, support play, transition play, switching play, through ins, defending as a unit (u11-12). We will focus on details in these drills. U13-U18: Coaches will be watching a video of a 11v11 game and will go over the play, formation, details of support play( in the attack of defense), players formation etc. Coaches will spend a good portion of the time doing this so all our teams have an idea what philosophy we should follow and what to look for during our games. We would like all coaches to prepare drills and bring them with you to this session - switching play from side to side, playing forward, counter attack, using the with of the field, transition play, finishing, defending (individual and group and team def.). We ask that ALL coaches RSVP HERE so that we know how many coaches we are expecting and so that we can plan for staff coverage if needed - this is VERY important in the planning of these sessions. Even if you are not attending, please ensure you RSVP!! Coaches are open to attend both sessions if they would like, please ensure you note this on the form below. Reminder that we have our Extraordinary General Meeting of the North Delta Soccer Club that will be held this evening Tuesday, November 13, 2018 at 8:30pm at the Mackie Clubhouse, 10900 82 Avenue, Delta, BC to approve the Constitution and By-Law amendments of the Club. the North Delta Soccer Club as listed below. Motion: To revoke the existing North Delta Soccer Club Constitution and Bylaws in its entirety and replace it with the inclusion of the proposed changes to the North Delta Soccer Club Constitution and Bylaws which will come into immediate effective upon the membership approval of this motion. "e) If the member fails to renew annual membership in accordance with the Bylaws." Part 4 (3.b) A vacancy on the Board, caused by removal, resignation, incapacity or death, shall be filled by a majority vote of the Board. The successor director shall hold their incumbent's position for the remainder of the term being filled or until the next annual meeting of the members, whichever comes first. 3-b A vacancy on the Board, caused by removal, resignation, incapacity or death, shall be filled by a majority vote of the Board. The successor director shall hold their incumbent's position for the remainder of the term being filled or until the next annual meeting of the members, whichever comes first. Part 5 (2) The Club shall hold its annual meeting of the members no later than April 30th of each year. 5-2 The Club shall hold its annual meeting of the members within six months after the fiscal year end. 1.a be reviewed annually with a Notice to Reader by a licensed CPA. Part 11 (2) The Financial Statements of the Club and the auditor’s report shall be presented at the annual meeting of the members. The Financial Statements of the Club and the auditor’s report shall be distributed to the membership at least 10 days before the annual meeting of the members. 11-2 The annual Financial Statements of the Club and the independent review report (when prepared for the prior fiscal year) shall be presented at the annual meeting of the members. The annual Financial Statements of the Club and the independent review report (when prepared for the prior fiscal year) shall be distributed to membership at least 10 days before the annual meeting of the members. Please be advised that we have been just informed that Brooke Elementary will not be available for our Intro program this evening and therefore the program has moved to Richardson Elementary for tonight ONLY - November 7th, 2018. The North Delta Soccer Club is deeply saddened by the recent news of Dylan Sigurdsson, a former NDSC soccer player. Dylan will always be remembered by our soccer club as an amazing soccer player and a caring young man. Our sincere condolences to the family and friends. There is a rainfall warning in effect this evening. We are leaving it at the discretion of coaches if they want to cancel training sessions tonight so if you are unsure if your training session is a go, please contact your coaches/team managers. Congrats to our very own NDSC Coach, Mark Kerr! UBC Thunderbirds offer the T-Birds Kids Club program to youth players to join us for an evening where they get to walk-out with the team, play a half-time scrimmage on the field, and participate in helping the players on the field by being a ball kid during the match. Please see links below for some information about the program. First come first served for game time bookings. We’d love to get some of your players out! North Delta Soccer Club is pleased to announce a new and innovative program for Development players U8-U12. This program will be a joint run program between NDSC and MBSOS (Martin Bittengl School of Soccer) and called the Advanced Program. We will be taking registrations beginning TODAY. This is an extra program for those families and players who are looking for a little bit extra training by a proven program lead by our very own UEFA A and soon to be UEFA PRO licensed Technical Director, Martin Bittengl. If you or your son do not wish to participate in the program then you do not have to register, it is not a mandatory program. We will need at least 10 players per age group and it will be a first come first serve basis. If we have more that 10 players then we will require another 10 to form another group at your age level so don't wait and be sure to register right away. The program will focus on the skill of the individual player. It will assist your son to not only gain the individual skills of a soccer player it will also challenge him to think like a soccer player. It will have SAQ (Speed, Agility & Quickness) as well as professionally run drills that will improve the overall skill of the player. We are very excited to announce this program and we hope that the information brochure and video will give you an idea of what this program will look like. The program will run on Friday nights times TBD ( based on registrations). You can assume it will be between 5:30 and 8 pm (dependant on the age of your son) and will be held at Delsom Turf. To REGISTER for the Advanced Program, please click HERE. Please note that this registration link is on the MBSOS website and that this is their "main" registration form. You will notice on top of the form it says "U6-U12 and U17" age groups, please dis-regard this information as the Advanced Program for NDSC is only for U8-U12 Dev Players. We invite you to follow us on social media to stay on top of club updates and announcements! We have some exciting contests coming up so be sure to follow us TODAY! Register today and you can start on Monday, October 22nd! Team photo day is on October 14th at Mackie Clubhouse. Please ensure all players arrive 15 minutes before their scheduled picture time and all players need to wear their NDSC uniform. To view schedule for photo day, click HERE. Notice is hereby given to all members that an Extraordinary General Meeting of the North Delta Soccer Club will be held on Tuesday, November 13, 2018 at 8:30pm at the Mackie Clubhouse, 10900 82 Avenue, Delta, BC to approve the Constitution and By-Law amendments of the Club. The emergency kits are used to support people in Delta who have experienced an emergency evacuation from their home due to a fire or tragedy, as well for woman and children feeling abused. These kits provide basic supplies that help provide a bit of comfort for persons who may have no belongings to call their own in a time of great distress. The North Delta Soccer Club would like to assist DeltaAssist with collecting items for these kits. Based on the items received at the drop off, the NDSC will donate remaining items. If you’d like to support us through purchasing some very sweet Christmas gifts for friends, family and yourself, please click the following link: https://fundraising.purdys.com/646005-55361. Once your in your purdys account, please click "shop online"! For easy shopping (with pictures), shop through the Marketplace. After you’ve signed in you can buy some amazing chocolates or invite others to join and support our Fundraising Campaign. Thank you so much! BCSPL Announces 2007 In take Coaches - check out the press release below. We are currently looking for Academy Junior Coaches who are U14 + to help with our Fall/Winter Academy Program that starts on Monday, Sep 24, 2018 and ends on Mar 11th, 2018. Junior Coaches would need to be available every Monday for the duration of the program that is being held at Delsom Turf. This is a great opportunity to fulfill high school volunteer hours and also a chance to work with our Staff Coaches coaching our young players and helping with setting up fields and taking them down. The North Delta Soccer Club is currently looking for Staff Coaches for our Fall/Winter Program. This position within the club will be a direct report to the Technical Director. As a Staff Coach you are responsible for assisting volunteer coaches in practice sessions, running mini programs and working at our academy in a group setting. The applicant must be available on Mondays from 5 to 9pm for shifts in North Delta from April to June. Availability to pick up shifts through out the week and for our Fall Season would be an asset. The candidate will have coached a team in either a volunteer or staff capacity, has strong leadership skills with the ability to effectively and clearly communicate with children ages 3-17. The candidate must possess knowledge of soccer to effectively teach the sport to players and be able to demonstrate soccer skills in sessions. Education Qualifications: Soccer for Life Course or higher. To apply for this position, please send a covering letter and resume by September 17,2018. We thank all applicants, but only those selected for an interview will be contacted. Under BC Soccer, all clubs must have a Concussion Policy in place. Please see below for NDSC policies and resources for all coaches, parents and players. We ask that all coaches and team managers complete the online training course, please see links below. First games for U11 + Div 1 and 2 start on Saturday, September 8th! Please ask your coaches for game details. We apologize for the inconvenience however U6/U7 uniform pick up has been delayed and will occur next week on Tuesday, September 6:30 to 8:00pm at Mackie Clubhouse - 10900 82 Ave, Delta, BC. Our air quality has improved and we are excited to hold our first group training this evening. These training sessions are "drop in" so if your child is available to attend, please have him join us this evening (schedule posted below). All players need to arrive 10 minutes prior to the start of their session time and all sessions will be held by a Staff Coach. The official season does not begin until next month so hang tight as your Age Group Coordinator will send out details as they become available for the upcoming season. Please note, teams have not yet been finalized so you will not be training with your fall/winter team, these are "group" training sessions. It is MANDATORY that all players wear soccer cleats and shin pads in order to participate at any training session with our Club. All players must also bring a water bottle or two especially with the warm weather we are having. Training Sessions will be held at Delsom Turf, please go to the south end of the field when you arrive and we will have signage up for where your child will need to line up. Click HERE for the address to the field. For our young players in age groups U6 to U8, please let them know which "animal" sign to look for as this will make things much easier for our mini players! Although the air quality has improved slightly for today, the overall rating is still very high. As you know, player safety is always our concern so we will be cancelling group training this evening. We will continue to monitor the AQHI levels and email the membership on Monday, August 27, 2018 to advise if group training sessions will proceed. All training sessions have been cancelled this evening due to poor air quality. We will continue to monitor this situation and advise you of any future cancellations. Due to the air quality advisory rating for today we are cancelling ALL training sessions today. At this time, the club will continue to monitor the AQHI and advise of any future cancellations. Please be sure to check your emails/website for updates. Due to the air quality advisory rating for today we are cancelling group training this evening for all age groups. Player safety will always be our priority. At this time, the club will continue to monitor the AQHI and advise of any cancellations. Please be sure to check your emails/website for updates. DeltaAssist is currently low on emergency Emergency Care Kits. The emergency kits are used to support people in Delta who have experienced an emergency evacuation from their home due to a fire or tragedy, as well for woman and children feeling abused. These kits provide basic supplies that help provide a bit of comfort for persons who may have no belongings to call their own in a time of great distress. The North Delta Soccer Club would like to assist DeltaAssist with collecting items for these kits. If you would like to donate some items, we will be having a drop off on Monday, August 20th from 5:45-7:30pm @ Delsom Turf (south end of the field) TBA. Our goal is to collect 50 of each item. Based on the items received at the drop off, the NDSC will donate remaining items. We are currently looking for Junior Coaches for our August Summer Group Training. Junior Coaches must be the age of 14+ and be available for both days they sign up for. Junior Coaches will be assisting with setting up fields and taking them down along with assisting the Staff Coach who will be running the session. Please click on link below for details and to sign up! Ethan started playing soccer when he was five years old with the NDSC playing on teams and attending many of the Spring Break camps. He played for many years but took a break when he first entered high school returning midway through his grade 9 year. NDSC welcomed him back with the opportunity to play on the U15 team. Unfortunately, during the last game of the season his lower leg was broken and had to have surgery to stabilize his leg with a metal rod & 7 pins. At that time, Ethan was told it would be up to a year before he could play again. Due to his love of the game and motivation to return to his team, he worked hard to recover and was able to play the first game of the season with the U16 team coached by Dino Chies. Ethan went on to play for his school’s senior soccer team and joined the Delta School District’s Soccer Academy hosted at Sands. There he was able to further his recovery and develop his skills with the support and guidance from NDSC’s Technical Director Martin Bittengl and other Coaches. Ethan acknowledges that without the support from his past and present coaches at NDSC he would not be able to play at the BCSPL level or recover from his injury as soon as he did. NDSC is very proud of Ethan! Congratulations on your promotion, we wish you all the best!! Due to the current weather conditions in Delta, we are cancelling all training sessions this evening. In the event that the weather changes and your coach would like to proceed with the training session, they will contact you directly. We have new directive from BC Soccer and our District about the U8-U10 "PDS" programs and we are currently putting those together. This means there will be some form of "PDS" for fall 2018-2019. That process has already started. For the fall 2018-2019 season we will not be changing the program structures for the U11 through U12 Dev. or Rep programs. We are currently working on a few program changes for the 2019-2020 season for our U8-U10 "PDS' and our U11-U14 rep programs. These are outlines that we have put together but they are not going to be implemented till the 2019-2020 season. Before these changes are in place, we will have a full disclosure of information for all members to understand. We will be discussing this with the members very shortly so you will have your ability to give your input. Something to consider for the future of the Club and our programs. We are constantly being compared to other clubs in the area and other private academies by our membership. In order for this club to survive and stay a viable Club we will have to make decisions that may not be ideal for all, but be better for the greater good of the Club. We promise that the membership will have a stake in these decisions. I can assure you that no decision is ever made without the upmost of consideration. There is a team of people from this club including Technical Staff, Board Members and Members at Large that have input into the decisions. The world of club sports is ever changing and in order for our storied club of 52 years to stay that way, we will have to make the tough decisions together. We no longer host the highest level of soccer. We are now considered a feeder club for the DCS and the HPL programs from U13 up. If we can come together as a Club and put a plan together, we can ensure the viability of NDSC for many more years to come and find our spot in this ever-changing soccer world. It is the goal of myself, our staff, our President and the Board of the Club to protect and make sure that the youth of North Delta have a soccer club to play in. We have already been proactive on many decisions over the past 4 years that have proven to work and have put the Club where we are today. We still have a long way to go but we are working tirelessly to get there. We will continue to be looking to the future while being mindful of our past. We will continue to send communication to you as things become formalized. We will continue to work hard for the members of NDSC and this community. In the meantime, enjoy the great weather and we will see you all out on the pitch. Come out for a Friday evening of fun with a friendly game against fellow NDSC Coaches. Be sure to RSVP as we need to know how many coaches are attending so that we can purchase food items! North Delta Soccer Club PaintNite Fundraiser! Invite a few friends, get creative and have a few laughs while supporting our fundraiser. All proceeds will be used to purchase equipment for the Club. For any parents who did not attend the Rep/Dev Parent Meeting earlier this month, please see our presentation HERE. Calling all Fall/Winter NDSC U6-U8 Coaches! We are offering the Fundamentals Course on June 24th. The North Delta Soccer Club is currently in the process of applying for a Gaming Grant. The Gaming Grant if approved is a big financial assistance to our Club and helps us with enhancing our programs so that our club can continue to grow. A part of the application process is to get letters of support from Players, Parents & Coaches. The gaming grant office reviews all letters of support and your letters can attest to the benefits that you as a Player, Coach and/or Parent have through the North Delta Soccer Club. Letters from Players (U13 +): briefly explain how NDSC and the programs have benefited you, how the programs have impacted your life as you become a young adult and how long you have been playing youth soccer for NDSC. Letters from Coaches: briefly explain how being a volunteer Coach with NDSC has benefited you as a person, how it's impacted your life with giving back to our youth in our community, how you see our players benefiting from our programs. Letters from Parents: briefly explain how you see your child benefiting from being involved in youth soccer and how they have learnt how to work as a team player which in turn will assist them in becoming positive and responsible individuals in our community. Please send your letters of support to admin@ndysc.com by May 21st. All Rep/Dev Team parents are invited to attend an informational meeting on Tuesday, May 8th at the Delta Golf Course. This meeting will lay out information about the Fall Rep/Development 2018.2019 Season. We will go over the program in detail for you along with the expectations that the club will have of coaches, players, and parents. This will be the only opportunity for you to have the club and technical staff there to answer any questions you may have. Please ensure that at least one parent (no players please) from your family attends this meeting. The meeting times are listed below, please attend your child's age group meeting time. 2018.2019 FALL/WINTER Registration NOW OPEN! At the Fraser Valley Soccer League Banquet Corrado Lenzi, our Technical Coordinator for NDSC was presented with the Coach of Year Award for his Coastal FC’s premier men’s soccer team. This team was recently featured in the paper for their Soccer City Cup and they are also the Umbro Premiere League Winners!! Congratulations Corrado, well done!! Friendly reminder, our AGM is on Wednesday, April 25, 2018 @ 8pm Mackie Clubhouse! Masters Premiere A Cup Winners - North Delta Rangers! Coastal FC men’s soccer team wins Soccer City Cup AND League Title. A big CONGRATS to this team, lots of our own NDSC boys on this team....Well done boys! On Saturday, April 14th all homes games will be having a moment of silence. Coaches and players will come to the center of the field before the start of games for a moment of silence in honor and memory of the 15 individuals aboard the bus who lost their lives. We ask that all spectators at games observe the moment of silence as well. We are will hosting our AGM on Wednesday, April 25th @ 8 :00pm at the Mackie Clubhouse. All members will be receiving the following documents via email. The North Delta Soccer Club is currently looking for Staff Coaches for our Spring Program. This position within the club will be a direct report to the Technical Director. As a Staff Coach you are responsible for assisting volunteer coaches in practice sessions, running mini programs and working at our academy in a group setting. The applicant must be available on Mondays from 5 to 9pm for shifts in North Delta from April to June. Availability to pick up shifts through out the week and for our Fall Season would be an asset. To apply for this position, please send a covering letter and resume to admin@ndysc.com by 8 pm (PST) Monday, April 3, 2018. BC Soccer has recently updated its awards criteria. Please check out BC Soccer’s website to view the new criteria and submit your nomination! All scholarship applications must be submitted no later than the date provided in the current scholarship application. The Awards and Scholarship Committee to review application deadline date annually. We are currently looking for Junior Coaches to help with our Spring Academy & Intro Program that starts on Monday, April 9th, 2018 and ends on June 18th, 2018. Junior Coaches would need to be available every Monday for the duration of the program(s). Our Spring Programs will be held at either Delsom or Mackie Turf. This is a great opportunity to fulfill high school volunteer hours and also a chance to work with our Staff Coaches coaching our young players. If you are interested in being a Junior Coach, please complete the online form application HERE. Please email admin@ndysc.com if you have the winning ticket. Delta Coastal Selects is pleased to announce the U13 (2006 born) Girls & Boys team rosters for the 2018/2019 season. Congratulations to the players, we look forward to a great season ahead. Fields are open for training sessions this evening (Tuesday February 27, 2018). Fields remain closed for Monday, February 26, 2018. All outdoor training session are cancelled! For any player leaving youth soccer there is still a place to continue playing soccer in North Delta. Our mens club currently has 5 teams in the open age divisions of FVSL. I would like to offer you the opportunity to come and practice with our mens div 3 Royals team with a view to helping place you on a team that suits your skill level for next fall season. If you are interested in playing on after this year send me an email at niallflannery1@yahoo.co.uk and I will get you set up to come out and join in some practices. Please note that fields remain closed for Thusday, February 22, 2018 and Friday, February 23, 2018. Fields are still closed, all training sessions are cancelled this evening. This one award is given to a player that is outstanding both on and off the field. This player is actively involved with the community on and off the field. This player is a proven role model for the club. The NDSC Player Representative will be rewarded with a trophy that is presented at our awards night. This award goes to the Coach that goes above and beyond expectations of a coach. This award is chosen from nominations submitted by any club member (player, parent, coach, etc) and voted by the awards committee. Please click below to nominate someone for any or all of the three awards. Lots of out of town teams so it's a great opportunity for our teams to play against teams they haven't played all season. Limited spaces available in some of the age groups so it's a first come first serve basis. Due to weather conditions, our fields remain closed for this evening. There will be no outdoor training sessions today. Please note that fields are closed on Monday, Feb 19th so no outdoor training sessions are being held this evening. Delta Coastal Selects is pleased to announce the appointment of Stuart Neely as Head of Coach & Player Development. Stuart comes to the DCS program with a great deal of experience in coach and player education and development from a variety of levels from house league to male and female Senior National Programs. We invite you to read more about Stuart by following this link "Click Here"
Delta Coastal Selects is committed to providing a professional player development pathway. Stuart's appointment ensures that our players and coaching staff will have the best opportunity to achieve success in the sport of soccer. Delsom Turf Open - February 14th! Delsom Turf is open for training sessions this evening! DCS Evaluation dates have now been confirmed and registration is open for the Boys & Girls U14-U18 age groups. Please click HERE for schedule. The North Delta Soccer Club is excited to announce its newest feature on our website called the “Coaches Corner” that is only accessible by Coaches/Team Managers. This hub contains all sessions plans for all age groups, player evaluation forms/instructions/videos of coaches’ sessions and important resources information. We will be updating the Coaches Corner throughout every season so please check back often. To access the Coaches Corner, please go to our website and click on “Coaches” and then select “Coaches Corner”. The login/password has been sent to all Coaches but if you have misplaced it, please contact your Age Group Coordinator. Just a friendly reminder that TONIGHT, The North Delta Soccer Club will be hosting a “University Prep Night” open to all Grade 11/12 players and parents. Our guest speaker will be Madison Guy who is a recent graduate from UBC and played five years on the UBC Women's Soccer Team, serving as the captain during her last two years. During her time at UBC, Madison was able to secure over $50,000 in scholarships and awards, which paid for her entire degree. Since graduating, she has started a program called GrantMe, which aims to help high-school and university students find funding for their post-secondary education as well as navigate the admissions process. We expect this session to be standing room so please come early to guarantee yourself a seat. We ask that a max of 2 people per family attend. We ask that you kindly RSVP HERE if you will be attending so that we can make necessary seating arrangements! We thank you with your patience regarding the uncertainty surrounding the Metro division ceasing operations and the ramifications of such a decision. We have received communication from BC Soccer regarding the second tier of play (formerly known as Metro). As suspected, the second tier of play will continue although instead of the Metro League operating separately, it will now come under the control of the BCCSL which currently runs the Div 1-3 divisions (commonly known as Gold, Silver and Bronze). What does that mean for Delta Coastal Selects? We are looking at a name change from Metro to Division 1. Division 1 (Gold) would become Division 2, Division 2 (Silver) would become Division 3, etc. Everything else will remain very similar in structure. As with Metro, 3-4 Division 1 teams will be placed out of South District http://www.southfrasersoccer.ca to represent the District at the Division 1 level for the U13-U18 age groups. Priority for these Division 1 teams (previously called Metro) will go to clubs or collaborations of clubs who support the BCSPL (HPL) clubs in the district (Surrey Utd, Coastal). As a collaboration that supports the Coastal BCSPL program we feel strongly that we will continue to have Division 1 programs (Metro) for each age group and gender going forward under much the same structure that exists presently. With this uncertainty largely alleviated, we are in the process of finalizing the evaluation schedule for the 2018/2019 season and will have this information to you shortly. Once again, thank you for your patience and consideration. A big Congratulations to the North Delta Men's Div 1 FVSL team, clinched first place in the League with two games yet to play. Undefeated in 12 games. NORTH DELTA SOCCER CLUB Spring Soccer registration is now open for ages 3+. Register NOW for the most loved sport in world!! BCSPL 2006 Intake evaluations schedule has been releasesd. Please click below for more information. U15 United Team spends the day earlier in the month at the Surrey Food Bank handing out food and sorting items. Not only are these players giving back but they are making a great impact in our community. Job well done boys and a big thanks to Coach Primo & Richard for helping build these boys into fine young men! We still have a few spots available for our Academy half season program that starts on January 12th! So be sure to register today to avoid disappointment! For more information about each program, please click below. Hurry and register soon! For more information click HERE. All U12 parents are invited to an information meeting that will be facilitated by our Administration & Technical Staff that will help parents understand the options for their child moving into U13 and the differences at every level. Please see below for the different levels of competitive soccer for U13. This information will help you understand the process used to place your son in these programs. We highly encourage you to attend this meeting. Location: Mackie Clubhouse - 10900 82 Avenue, Delta, BC. Just a friendly reminder that we will be having our Extraordinary General Meeting Tomorrow! BC Soccer last year introduced the Club Charter program for soccer clubs in BC. All clubs must apply for this and we are currently going through the process of the application. One of the items that we need to comply with is our Constitution & Bylaws and our Policies and Procedures. For the past 12 months our committee has been working tirelessly on amending these documents to fit within the Charter Program. The documents have now been completed and we are calling an Extraordinary General Meeting to have these documents voted on by our membership so we can continue on the path of being a Charter Club under BC Soccer. We have worked closely with BC Soccer, Societies and the Gaming Commission to ensure that our revised Constitution and Bylaws and our revised Policies and Procedures are compliant with all of these organizations. To view the revised documents please click HERE. 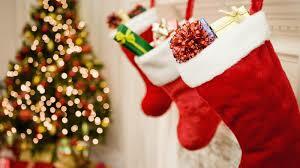 Items will be dropped off at Delta Assist on December 19th and distributed to our sponsored family within a few days. We thank you for your continued support NDSC! As you know, the North Delta Soccer Club has an Academy Program that is held every Friday evening at Delsom Turf for all age groups. The Academy Program has opened up registration for their 1/2 Season Program for any new players that want to join for the January 2018 start. All players are invited for a one time "drop in" session on Friday, December 1st at our Academy Program. Come out and see what the academy has to offer. You get to see first hand how the academy can enhance your child's development for the game while having fun in a structured environment. This is a great opportunity to meet some of our Staff Coaches and our Technical Director, Martin who oversees the academy. Please find below the session times for the age groups for our program. If you are interested in attending, you will need to RSVP here. All players that are attending this session will need to ensure that they wear shin pads and cleats and they must be available to attend the full session (1 hour). For more information on our Academy Program or to register for January 2018 please click here. Parents will not be allowed to approach any game officials at any time during or after the match. This includes the volunteer AR. If there are concerns and or queries, parents can approach team officials to approach the officials or use the proper channels through their clubs representatives to discuss the game's officials. If parents are found approaching game officials (referees) during or after the game, a warning will be sent to both the club and the coaches. A second warning will result in either a suspension for the coach and or a fine to the club. Please note that if your child is currently enrolled in the 2017/2018 Fall/Winter Academy, he/she does not need to re-register as they have been registered until March 2018. The club is continuously striving to improve our services to its members. BC Soccer last year introduced the Club Charter program for soccer clubs in BC. All clubs must apply for this and we are currently going through the process of the application. One of the items that we need to comply with is our Constitution & Bylaws and our Policies and Procedures. For the past 12 months our committee has been working tirelessly on amending these documents to fit within the Charter Program. For all games played on November 11th and in consideration of Remembrance Day, we will be having a moment of silence at every home game before the start of the game. Teams are to come to the center of the field and observe a moment of silence. With the recent snowfall we have just had, we would like to remind parents to always check your emails before leaving for any training sessions or games throughout the season for any cancellations. At this time, we do not have any cancellations however this could change if the snow does not melt off the fields in time for games this weekend, so please ensure you check your emails frequently! Please click HERE to view District Cup Play Schedules & Rules. Navy blue soccer bag with 2 youth small jackets. Jackets have the initials HS and CS on them. Please email admin@ndysc.com if you have seen or found these items. Its time to send in your CRAZY HAIR PHOTOS! Please ensure you send them to the following email address by tomorrow 6pm but the earlier the better as the picture with the most likes wins a pizza party! p.s. if you don't see your picture on social media, be sure to re-send your photos in just to make sure they are in!! For the U13 + Boy's League Cup Rules, please click HERE. Great article for parents on youth drop out rates for youth sports! Please note that we do not have any training sessions on Tuesday, October 31st! Be safe everyone! Anyone interested in registering for our academy, please visit our website. Registration fees are only $180 for 20 sessions! If you’d like to support us through purchasing some very sweet Christmas gifts for friends, family and yourself, please click the following link : https://www.purdysgpp.com/646005. Once your in the purdys account, please click "shop online"! For easy shopping (with pictures), shop through the Marketplace. After you’ve signed in you can buy some amazing chocolates or invite others to join and support our Fundraising Campaign. We are very excited to announce that on Monday, October 2nd at Mackie Turf we will be hosting an "Academy Night ". This is a free session to all players U14 and up in both rep and club divisions. This session will be hosted by our technical staff and lead by our TD Martin Bittengl. They will be fast action and extremely educational for the players and the coaches. The goal of this session is to help the players and coaches U14+ see the benefits of our Academy Program. We will not be offering the Goalie Academy on this day, however we would like to invite all Goal Keepers to attend as well. If your team has their regularly scheduled training on Monday nights at Mackie, your training session will be replaced by the Academy Night. For all other teams who are not on the field and can attend we encourage you to do so. All players will be asked to RSVP on the online form HERE by September 29th. We look forward to seeing all players out on Monday, October 2nd and be ready for a fast paced and educational night. We are excited to announce our Coaches Education Night for our Coaches who coach U8 to U12 (all divisions). The session will be offered on September 28th from 5:30 to 7:30 at Mackie Turf/Clubhouse. The coaches who usually have training sessions during this time at Delsom Turf will have their training session covered by our Technical Staff. Please kindly leave the equipment with a team manager or parent who can bring the equipment on the field on the 28th. We ask that you advise your team that you will not be at the session and that the training session will be covered by one of the Technical Staff. These sessions are for you Coaches! This is to give you insight into training, it will help you with drills and will help you better serve your team. Please make sure to attend this session. Bring your coaches note book as well as you will want to take notes!! PLEASE RVSP HERE by Tuesday, September 26th! On September 16, 2017 we had the Mackie Turf grand re-opening event of the new turf on Mackie Park. It was a great event attended by many of our membership and Staff! Thanks to everyone who attended the event. Now, let's play some soccer!! The North Delta Soccer Club is pleased to announce our new Technical Director, Martin Bittengl. NDSC has contracted Martin and his company to handle all aspects of our technical department including a new and improved Academy Program. Martin comes to us with an amazing resume of accomplishments which include playing professional soccer in Europe, UEFA A License and his Masters degrees in Physical Education and Sports Science and Psychology. We are very pleased and fortunate to welcome Martin to the family of North Delta Soccer. We know once you meet Martin and see what he has to bring to the Club you will be as excited as we are! Please read below for Martin’s Biography. Martin played soccer at a professional level on several Czech Republic teams. He was a part of FC Viktoria Plzen Professional Academy, Football Association of Czech Republic, Tj Jiskra Domazlice, and FC Zandt Germany. He was also a member of the selective U15, U16, and U17 regional and national teams. Martin played for his elite level high school team where they won the High School Championships twice, and went on to represent Czech Republic in the 2001 High School World Cup Championships. The same high school team also placed first in the High School Futsal Championships. In addition to his experience as a professional player, Martin has also coached at an elite level in Europe. He worked as a head coach for the U17-U19 FC Viktoria Plzen teams as well as assistant manager and coach for FC Zandt German Soccer Club. During his time as a player and coach, Martin spent eight years studying simultaneously at the University of West Bohemia and the Charles University in Prague. He graduated with two masters degrees, one in Physical Education, Sport Science and Psychology, and the other in Physical Education in Sport. Martin also played Varsity Soccer for the University of West Bohemia during his studies. Throughout his studies at the universities, Martin also spent two years nearing his graduation doing research and analysis for his thesis. He has written two books which were featured in the Czech Republic Football and Training magazine and the Football Association of Czech Republic website. His first book was based on his year-long research and analysis on Offensive and Defensive Activities in set plays. The following book was based on another year-long research where he analysed and compared the results of successful defensive tactics in the 2006 European Cup. Throughout his work and studies, step by step, Martin is proud to have accomplished and completed the UEFA A license. Martin’s interests and studies have revolved around the sport of soccer for many years. He is truly passionate about the game of soccer and his goal is to be able to share his knowledge and experience with young athletes, motivating them to improve and develop as players. Player health and safety is a high priority for BC Soccer , thus it is recommended to err on the side of caution if ever in doubt in any situation regarding the health and safety of players. Please read the following important information HERE. Age groups are filling up fast!! We already have waitlists for some of our age groups so don't miss out on the 2017/2018 season and register NOW! Annual Spring BQ Today! Last day of spring soccer games so come out and register for fall, grab some lunch, get some whitecap tickets and participate in the Coaches Sponge Toss event. And mini players (u6-u10), don't forget to come grab your Tim Hortons Soccer Ball! See you all Mackie Clubhouse! Have you registered yet?? What are you waiting for???? Eearly bird discount ends TODAY!! Whitecaps Community Clinic is tonight! All registered players, please arrive at 5:30 p.m. for check-in at Sands Grass field. The clinic will run from 6:00 p.m. to 8:00 p.m.
Whitecaps Tickets also on sale tonight for our club night event on Saturday, September 9th @ 7:00pm. Our Fall/Winter Academy Registration will be opening soon. We are constantly striving to improve our Academy, this Fall will be no exception! We are extremely confident that the Academy Program we roll out this year will be like no other we have had in the past. Details will be following shortly but rest assured it will be a high energy and technical that is based on learning through exciting and fun activities. We are not letting too much out at this time but we will be releasing more information soon. You can look for a variety of drills and skill based sessions. There will be SAQ (speed, agility and quickness) drills as well as equipment based drills that we have never seen in North Delta. This Academy will rival any private academy in the province and it is our goal to make the North Delta Soccer Academy Training Center the bench mark for the lower mainland. Wait!!! We have not forgotten the goalies either..... The North Delta Soccer Academy will be the place for goalies to work on there skill levels and improve with hundreds of touches on the ball. Our current staff along with a few new additions will be working with the goalies to help them gain the skill set to become top goalies. We will be rolling the official academy video out soon so look for that in the near future. We encourage you to register as soon as registration is open as spots will fill up fast this year. You will be glad you did! Please send your letters of support to admin@ndysc.com by May 22, 2017. Do you have a passion to help grow the game in this province? The North Delta Soccer Club (NDSC) is actively searching for talented professionals who are passionate about sport and making a difference in the game of soccer. We are in the process of change and building a new club soccer strategy that is aligned with the provincial and national level and focused on long term player development and operational sustainability. If you want to be a part of our exciting future and the world's 'Beautiful Game' then we want to hear from you. North Delta Soccer was founded in 1964 and is one of the most storied clubs in the province. The club has over 1000 players in our fall program and over 500 in our spring programs. We offer a strong academy program for our players as well as spring and summer camps. The North Delta Soccer Club develops supports and delivers programs in the community of North Delta. The overall goal of North Delta Soccer Club is to assist with the development of our soccer players to have a healthy experience and to maintain "Soccer for Life" at all levels. Reporting to the Executive and the Director of Soccer Operations the Technical Director (TD) defines, leads, and implements various strategic and operational projects focused on all technical programming within NDSC. The successful candidate will be a key member of the Management Group, shaping the day to day operations and strategic priorities of the organization while effectively leading his/her Soccer Operations department. Employing both a passion for soccer and superior technical knowledge, the TD will lead a department dedicated to excellence in the areas of grassroots development and high performance. The TD must be a proven professional in this role with experience leading player to athlete development from the community through to the provincial/national level. The TD will also possess a sound understanding of the Long Term Athlete Development model (LTAD) being actively used in sport throughout Canada. Coaching development and mentoring of Coaches both at the development and high performance levels are also key knowledge domains for this position. You must be a detailed planner, strategic thinker and polished presenter and public speaker. You will also need to be a sound leader of technical staff and community leaders and have the ability to set department goals/objectives and manage people effectively. In addition, you must demonstrate the ability to be successful in a team-oriented organizational structure. Lead the strategic areas of high performance, player development, coaching. Support and implement the Club's development in High Performance divisions and development program. Proficient in use of Microsoft office suite products such as PowerPoint, Word, Excel, etc. To submit your candidacy please email your application to hrdirector@ndysc.com. We will not be having any games on the Saturday, May 20th and we will not have training sessions on Monday, May 22, 2017 due to the Victoria Long Day Weekend. New 3v3 tournament that is coming to Canada! Our Fall/Winter League Registration is NOW OPEN! will recieve a $50 discount for U7 + age groups! Thanks to everyone who attended the 2017 AGM. We would also like to thank all the Executive Members who served on the Board for the 2016.2017. We have a few changes to the new Board this year, leaving in the role of President, is Corrado Lenzi. We thank Corrado for all of his hard work in the role of President and we will continue to work with Corrado on the Board of Directors as a Coordinator for U5. Our new President is Gurdip Ibarra, Gurdip was our the Vice-President this past year and she is also our Volunteer Coordinator and our U7 Coordinator. We welcome Gurdip to the exciting new role of President. A list of all the new Executive Members will be announced the week of May 9th, after our first executive meeting. Scholarship Recipients presented by Jim Matheson, Life Time Member. Just a reminder that we are having our AGM this Wednesday, April 19th at 7:00pm at the Mackie Clubhouse. The North Delta men's teams are always looking for players to improve our teams through every division and skill level. We have teams ranging from FVSL div4 up to VMSL premier. Our club has a system of progression through the mens teams to higher levels and we always aim to help players improve their ability and play amongst players at their own skill level. The North Delta Soccer Club is currently looking for a part-time Assistant Technical Director. This key position within the club will be a direct report to the Technical Director. The position being responsible for providing both technical as well as administrative support for the club's programming including coach development, education for our volunteer coaches, staff coaches, player evaluations assessments, team training, inclusive of our Academy and Camps. The candidate will have proven knowledge of Canadian Sport for Life Long Term Athlete Development (LTAD) and specific expert knowledge of the Canadian Soccer Association Long Term Player Development (LTPD). Education Qualifications: National B Licence, with a mininum of 5 years of coaching experience. To apply for this position, please send a covering letter and resume to hrdirector@ndysc.com by 5 pm (PST) April 16, 2017. It is with sadness that we announce that Yaw Osei, Assistant Technical Director will be leaving the North Delta Soccer Club at the end of June 2017. We thank Yaw for all his contributions to the club and we wish all the best in his future endeavours. North Delta Soccer player, Luke Fahrman passes away at 22 years old. We are sorry to hear of the passing of a young man that played youth soccer in North Delta and moved on to play in the North Delta Men's Club. Luke Fahrmann recently passed away of unknown causes. There is a Celebration of Life at Seaquam Secondary on Sunday April 9, 2017 at 1:00 pm. We are pleased to announce that the Whitecaps FC Community Clinic is coming to NDSC! These clinics provide a fun introduction to soccer for kids age 7-10! After Wednesday, March 22, this clinic is offered to the public and limited spaces are available. We are will hosting our AGM on Wednesday, April 19th @ 7:00pm at the Mackie Clubhouse. Exciting News - we have extended our cut off for registrtion for Spring League Soccer to March 22, 2017! Register NOW! All players who wish to attend the Metro DCS Player Evaluations must complete the online Evaluation registration form (link above) in order to participate. THIS IS MANDATORY. Note, on-line registration must be complete by midnight the day prior to the first Evaluation session. No payment accepted on-line. Once registered a $15 Evaluation Fee will be payable by Cash or Cheque (to DCS) at the sign-in on the first day of evaluations. Congrats to the following NDSC Players that have made the 2017.2018 HPL U13 Team! Well done boys and a big thanks to all the Coaches that have helped these players for the last few year achieve this great success. Congratulations to all teams that made the Delta Cup! A big thanks goes to all the Coaches and Team Managers for all their dedication and hardwork to get their teams to the Cup! All training sessions held on Delsom Turf have been cancelled this evening. All training sessions on Mackie Turf will resume as the snow has melted off the Turf. A Big Congratulations to U13, U14, U16, U17 United Teams on winning the B cup play downs to represent Delta in the Coastal Cup. Well done North Delta Boys, we are very proud of all of you! Thank you to all the Coaches & Team Managers of these teams for their outstanding work with these fine young boys! Please note that all homes games have been cancelled for Sunday, February 26, 2017. ALL U18 Players & ND Coaches are invited to play a fun game! Come out and watch a fun game! For Coaches wanting to play this game, please RSVP HERE. Registration is now open for DCS Metro Soccer Evaluations for the 2017-2018 season. Please note, all players who wish to attend these player evaluations MUST complete the online evaluation registration form in order to participate. This is mandatory. Mackie Turf is now open and practices on Mackie will resume Tuesday, February 14th. Delsom will resume practices on Wednesday, February 15th for practices. Please note that all home games scheduled on grass & turf fields for Saturday, Feb 11th and Sunday, Feb 12th have been cancelled due to the fields being covered in snow. The Academy Programs have also been cancelled for Friday, February 10, 2017. Please note due to the storm we are canceling our Open Registration this evening. Thank you. Thanks to all the Coaches that came out to the Coaches Appreciation Night on Saturday at the Delta Golf Course! It was fun evening with some great prizes donated by our membership and sponsors. A big thanks to Delta Golf Course our proud sponsor for hosting our event. As you are all aware mother nature has been challenging to us over the past couple of weeks. We have had to cancel practices, games and academies. The club has worked very hard to find alternate means for practices and games and we have given teams other options as well. The availability is very limited for indoor facilities and all fields in North Delta are closed until further notice. The Club will be working with the scheduling districts to ensure that we get as many games rescheduled as possible. All clubs in the lower mainland are in the same predicament but we will do our best to make up as many as we can. We are all at the mercy of the weather and these type of issues cannot be foreseen. The club will not be offering rebates for the missed days due to weather. This is a very rare occurrence and your understanding and cooperation in this is greatly appreciated. We will make up as much as we possibly can. We are very fortunate at NDSC to have a great group of people working hard for this club during times like this. I would like to thank all of them for their tireless work and dedication to getting soccer back on the field. All fields (grass and turf) remain closed until further notice so training sessions have been cancelled. For U6/U7, all gyms sessions are a go. Please check with your Coordinator as your gym times may have changed due to scheduling games in gyms. All home games cancelled for Sunday, February 5th, 2017. All games for tomorrow, Saturday, Feb 4th have been cancelled. Delta Coastal Selects is now receiving coaching applications for teams U14 through to U18 (2017/18 FALL season). To apply, or for further information, please click HERE. We are currently looking for 4 Junior Coaches to help with our U5 Program. They would need to be available from 5-7 every Monday at Brooke Elementary from January 30th to March 9th, 2017. This is a great opportunity to fulfill high school volunteer hours and also a chance to work with our Staff Coaches coaching our U5 Players. If you are interested or have any questions, please email admin@ndysc.com. Come out and register in person on one of our Open Registration Days! Our fields are officially open as of January 19, 2017. All training sessions and Academy are a go for the remainder of the week. All games will be played this weekend. All District 5 games that were cancelled on January 7/8th need to be played this weekend (Jan 21/22). Coaches, please contact your opposing teams to arrange a game time. If you were orginally scheduled to play at home, please contact your Coordinator for field time. The first session will be on the club philosophy on "Possession with Purpose" and how that relates to you as coaches and your players. Each session will be run by Ajit Braich our Head Technical Director and after each presentation we will have a small Q & A session. We strongly encourage coaches to attend these sessions as they will be extremely informative and helpful to all of you. We are now accepting Coaches Applications, click HERE for more information. Please note that all fields remain closed so there will be no Academy on Friday, January 13th or any Home Games on Saturday, January 14th. For teams that are playing away for U11 +, please confirm with your opposing team of any cancellations. Fields still remain closed as of January 9th until further notice, all training practices that are held on turf fields remain cancelled. All gym practices are a go this week. We are pleased to be offering Coaches a 10% discount on registration fees to Coaches or Assistant Coaches who volunteer as Coaches for the Spring League 2017 Program. There is a max of 2 coaches per team and the Coach needs to meet one of the following requirements. If you Coach more than one child, then you will receive a discount for each child. This discount can be applied to your child's Spring League Fees or can be applied to a Spring Academy Program or a Summer Camp (Wolves camp not included). To receive the discount, please contact Erica at registrar@ndysc.com before you register. Unfortunately, all home games have been cancelled this weekend due to fields still being covered in snow. Our Friday evening Academy Program has also been cancelled this week. Here's hoping this snow melts soon!!! All Coaches & Managers are invited to our Annual Coaches Appreciation Night! All U7 parents are invited to an informational meeting that will be facilitated by our Administration & Technical staff and will help parents understand the Player Development Series (PDS) and how it relates to your son for the Fall 2016/2017 season. The player development series is put together to further develop soccer players who show a higher level of coachability, skills and soccer knowledge. If you feel that your son is good candidate for the PDS Program we encourage you to attend this very important informational session. All U8 and U9 parents are invited to attend an informational meeting that will be facilitated by our Administration & Technical staff and will help parents understand the Player Development Series (PDS) and how it relates to your son. The Player Development Series is put together to further develop soccer players who show a higher level of coachability, skills and soccer knowledge. If you feel that your son is a good candidate for the PDS Program we encourage you to attend this very important informational session. All U10 & U11 parents are invited to an informational meeting that will be facilitated by our Administration & Technical staff and will help parents understand the Development program and how it relates to your son. If your child is currently in the PDS or Development program or if you feel that your child could be a potential Development Player candidate, please ensure you come to this meeting to find about more about the Program and the Evaluation Process. All U12 parents are invited to an information meeting that will be facilitated by our Administration & Technical Staff and will help parents understand the options for their child moving into U13 and the differences at every level. We will be discussing the PL Program, Metro DCS program and Rep Division 1 & 2 programs. This information will help you understand the process used to place your son a program. We highly encourage you to attend this meeting. Please note that fields will remain closed for the week of January 2nd, 2017 and there will be no training sessions. There will also be no training sessions held his week in gyms for the U6 and U7 age groups. We will post another update for the weekend games. U14 Div 1 - Spent their day on Dec 23rd volunteering their time at the Surrey Food Bank. A big thanks to all of these players and coaches for giving back and representing NDSC! Well done boys!!! To ensure the continued success of our Coaches and the Club we ask that parents complete the Volunteer Coach Evaluation Form Survey shown below. The results are anonymous and are kept confidential by the Club. Thank you for taking the time to complete the form, your feedback is valuable! Click here to complete the Survey! We are pleased to open up registration for our Academy 1/2 Season Program. Register soon to avoid disappointment as we have limited spots in each Academy Program. Click HERE to find out more information. U17 Div 1 - spent the last few days volunteering at the Delta Assist putting 600 hampers together for families in need. A big thanks to all of these Elf's and coaches for giving back to our community and representing NDSC is such an honorable way!! Thank you! Please note due to field closures, there will be no home make up games this weekend. Please note all fields are closed until further notice. The Pancake Breakfast has also be cancelled, we hope to reschedule a new date for a FoodBank drive in the new year! Port Moody Soccer Club is offering a Goalie Camp during the winter break. For more information, click HERE. All practices have been cancelled this evening! Stay warm! All practices have been cancelled for this evening for age groups U6 to U18. Due to the weather conditions and unplayable fields, all practices that are scheduled for tonight on turf fields have been cancelled. For teams practicing tomorrow and Wednesday, please check your email for any cancellations. Our Spring Soccer Programs are now open! Click on each program to find out more information and to Register. 1/2 Season Winter Academy Program - Registration Now Open! Click HERE for Youth Competitiion Dates. BC Soccer supports equal opportunity, prohibits discriminatory practices, and is committed to providing an environment in which all individuals are treated with respect. All of us agree that the protection of youth is of the utmost importance. In alignment with this BC Soccer over the last 2 years has made a determined effort to crack down on incidents of misconduct by adults against youth/minor aged members (players, referees, volunteers, etc.). Players, team officials, game officials, clubs, districts and leagues (and their appointees, volunteers and staff) have a duty and responsibility to conduct themselves appropriately while respecting the FIFA Laws of the Game, BC Soccer rules, regulations, policies and the rules of the clubs, districts and leagues. Full Member Organization (Youth Districts & Adult Leagues) - Full Member Organization of BC Soccer (Youth Districts and Adult Leagues) are empowered to handle any/all matters that relate to individuals and clubs that are registered within them, unless specifically specified in BC Soccer’s Discipline Policy. For example, a player registered with a club/team is under the jurisdiction of their Youth District/Adult League, therefore that district or league would handled player misconduct locally. if the person being brought to discipline is a District or league Administrator/Executive. This should be referred directly to BC Soccer. where the Youth Districts involved have given Jurisdiction to the Inter District League in which they participate. Affiliated Soccer Clubs - Affiliated Soccer Club in general are empowered to handle any/all matters that are completely internal to the club itself. For example, teams and/or players that are not following the club Code of Conduct. Exceptions to this would be if the person being brought to Discipline is a Club Administrator/Executive. This should be referred to their district to avoid any clear conflict of interest. Youth Leagues - Youth Leagues have two main discipline functions. To uphold discipline decisions imposed by the districts and by BC Soccer. To administer discipline when the districts/clubs participating in the league have empowered them to do so. Should you have any questions regarding this, please contact Dan Turvill Manager of Competitions and Discipline at danturvill@bcsoccer.net. A reminder that NDSC has a zero tolerance policy for any abuse on referees! Please read this interesting article. Please note that all teams playing at home this weekend will be having a moment of silence before the start of their games. We ask that all parents, players and coaches participate in the observation. Photo Re-takes are scheduled for Nov 22 at 5:15 at Mackie Clubhouse! Delta Coastal Selects is now receiving coaching applications for the 2005 Intake teams. For more information, please follow the link: HERE. All training sessions that fall on Monday, October 31 are cancelled due to it being Halloween! Academy Cancelled for Friday, October 14th! Due to the severe weather warning for this evening, Academy/First Touch & Goalie Academy has been cancelled. If you have received an email to pick up your uniform, pick up has been cancelled as well and your uniform kit will be available for pick up next Friday. All games scheduled on grass fields. It is the responsibility of the Coaches to advise their opposing team that the game has been cancelled! All scheduled games on Delsom field are a GO. Games at Mackie from 12:30pm and on wards will be played unless the turf field is flooded. We will advise of cancellation on Saturday am if the field is flooded. Burnsview Highschool will be hosting a used soccer equipment drive this Sunday, October 16th, between 10-3 at Delsom Park (11299 85 Ave, Delta, BC). They are looking for gently used cleats. They will be located at a blue tent between the Turf Field and the Baseball Fields. The equipment will be sent to children in Kenya and Rwanda where Eric Rajah from "A Better World" has been building schools. These cleats will be put to good use, our hope is that the needy children will be able to play soccer with proper equipment which would make the game more enjoyable for them! It's Crazy Hair Day on Saturday, October 29th, 2016. Players and Coaches....bring out the wigs, colored hair spray and hair sparkles!! Submit your crazy hair team photos to ndscsocialmedia@gmail.com for a chance to win a Team Pizza Lunch! The team most "liked" on social media wins! Team Winner will be announced on Tuesday, November 1st, 2016. For any "away" games, it is will be at the discretion of the coaches if they would like to participate in the Crazy Hair Day! No Academy this Friday, October 7th due to the long weekend. No league games on Saturday, October 8th and 9th and No Training Sessions will be held on Monday, October 10th. Coastal Football Club is delighted to announce the appointments of Steven Duffy as head coach of the 2005 born BCSPL Girls intake team, and Nathan Erker as head coach of the 2005 born BCSPL Boys team. Both coaches will spend time working in the Coastal Premier League Academy over the course of the season where they will have the opportunity to work with and scout potential players for their respective groups. Steven holds a CSA National B coaching license and has been a senior staff coach at Coastal FC for the past 4 years. He is currently coaching BCSPL teams in the U16 Boys and U17 Girls divisions and has also coached male and female teams for BC Soccer in recent years. Steven will continue to lead his current U17 Girls team through to the end of their youth career in June 2017, before the start of the 2005 Intake season in September. Coastal FC is thrilled to reassign a coach of Steven's caliber back into an age group where players are experiencing the BCSPL level of play for the first time and transitioning to the 11-a-side game. He has played a part in developing some of the best female and male players in Canada over the years, some of whom have gone onto feature in the Whitecaps FC residency and CSA REX programs, while many others went on to play at a Provincial level. His coaching experience from grassroots to high performance levels speaks for itself, and he will be a huge asset in assisting in the development of this intake group. We are certain that those fortunate enough to be selected will feel extremely privileged work with Steven in what will be a top class developmental environment. Nathan Erker is in the process of gaining his National B coaching license, and has coached at almost every level of youth football over a 22 year period. As a player, Nathan had the privilege of being involved with BC Provincial and CSA National team programs at a youth level before going onto have a successful adult career playing in the VMSL and FVSL Premier League. Since Nathan’s transition into coaching he has worked in various high performance programs with Whitecaps FC in their former Woman’s reserve team, WFC Super Y-League, and also served as a WFC academy coach under Tony Fonseca. Nathan is currently the head coach of the U12 North Delta and U13 Coastal FC Rep programs. Coastal FC is extremely happy to have retained the services of one of the most experienced and sought after youth coaches in the soccer community. Nathan's continued involvement with the club ensures the delivery of an excellent developmental environment for young aspiring players. His playing experience at youth and adult levels, combined with his ability to connect with young players and pass on knowledge as a coach is among the best around. Those selected will benefit greatly from Nathan's extensive knowledge, experience, and passion for the game. Mark McQueen, Technical Director of Coastal FC said, "We are delighted to have retained two of the best and most respected coaches available in the soccer community, both of whom are from within our own club and regional partnership at North Delta. It highlights the importance we place on ensuring our players are given the best possible opportunity to succeed in achieving their goals in the sport. Retaining the services of coaches with the playing and coaching experience of Steven and Nathan, is another example of our commitment to excellence, and also why Coastal Football Club is recognized as one of the leading developmental environments in the country”. U14 Div 1 team won the SX Cup in their division at the SX Tournament. Congrats to all the boys and coaches for all their hard work. Their exciting last game ended in 0-0 and was settled with penatly kicks. Well done boys! BC Summer Games - ND Players! Coaches please arrive 10 minutes prior to the start time. We are inviting parents of U8-U12 players to attend an important informational meeting(s). These meetings will be run by our Technical staff and will help parents understand the PDS and Development programs. It will also give parents a chance to ask any questions they may have of the club or for the upcoming season. These age groups have a lot of different moving parts and these meetings are excellent for the parent to understand what the season will entail for there children and exactly how the PDS and Development programs work. Parents are to attend the session that there son is currently playing this year. New for 2016/2017 Season, Coaches and Assistant Coaches will need to complete a 20 minute online Concussion Training Course. Once Coaches have completed their training, they will need to take a picture/or scan a copy of their certificate and email it to the Age Group Coordinator who will be keeping track of coaches that have completed this important course! Great weekend with our ND Coaches participating in the Soccer for Life Course. Thanks to all the coaches that came out and completed their coaching certification, well done everyone! Registered Academy, First Touch & Goalie players are welcome to come out and kick the ball and meet some of our technical staff! Please note that the NDSC Academy Training Center is a separate program that runs every Friday night during the Fall/Winter season. If you are registered for the Fall/Winter Youth Program (1 Practice and 1 Game per week) and would like to join the Academy, please come out this Friday! VSML U21 Division Try outs! NDSC U21 try outs are being held at Delsom Turf at 7:15, Tuesday's and Thursday's the week of August 8th and August 15th. Contact team manager Jerry Perez at jwperez@dccnet.com if you have any questions. Register and get your child fitted for his/her Academy Uniform. Click HERE for program information or to register online! New for fall 2016 the academy will now be called The Academy Training Centre. We are constantly striving to put the best product on the field. We have adjusted the programs to incorporate more fun and excitement into the programs while teaching the players the the fundamentals and individual skills of soccer. We are excited to announce that under the supervision of Ajit Braich all our head coaches will be fully accredited this season. Your child will see a energy packed and educational hour of soccer. They will come off the field excited for the next session! BC Soccer Association is put together a coaching certification mandate that states all coaches in the province most attend and complete a coaching certification course which matches the age of the players they are working with. As a member club of BC Soccer, North Delta would like to fully cooperate with this initiative as we feel coach education a fundamental avenue of support for both new and experienced coaches working with young players. Here are the list of upcoming courses being held in North Delta. The North Delta Soccer Club is please to have Retel Financial as one of our sponsors. Check out their website for services they can provide you and your family! U16 Div 1 - Congrats! We have just scheduled a Small-Sided Referee course in North Delta for Saturday, August 13th. It will be at Mackie Clubhouse and it is a 1 day course. We want to give NDSC players first priority at registering for this course (it fills up quickly). The course is for ages 12-13. If you are interested please go to BC Soccer website - link: https://www.bcsoccer.net/referee-clinics . The password to register is 'NDSC'. If you have any questions, please email Gregg at refdevelopment@ndysc.com or call 604-307-8124. U16 Div 1 won today against North Vancouver FC Torrent, 2-0. Fantastic game...well done boys! Best of luck on Saturday. Congratulations to the following NDSC players that attended the Wolves Academy and were invited to the GIS National Camp in Georgia, Arizona in July! Well done boys! NDSC will be offering the Soccer for Life Course on August 27 & 28th. The cost of the course is fully covered by North Delta Soccer and is available for you to register with a user code so there no out of pocket expenses to be reimbursed later. Schedule of Courses and Registration: CLICK HERE When you arrive here you will need to create a user account than you can register online. User code= Please contact your Coordinator for the USER CODE. We had a successful Wolves Camp Academy held at NDSC! Thank you to all the players that participated in the camp. Come out and support our ND U16 Div 1 team at their Provincial Championship Games! Check out us on Instagram!! NDSC is on Instagram...check us out! Spring BQ - June 18th! Registration Open House and Whitecap Ticket Sales today! NDSC hosts it's first Whitecaps Community Event! On Thursday, May 26, 2016, North Delta Soccer Club held it's first WhiteCaps Community Event. It was a fantastic event with over 180 kids attending. We had Sam Lenarduzzi, Carl Valentine, Kekuta Manneh and Pa Modou Kah out at this exciting event! We had players out playing soccer coached by Whitecaps Staff and we had autographs signed by our exciting guests. We had our mascot "Kicker" out and he had a chance to hangout with Spike and BMO Bear (every mascot's dream!). A big thanks to all the Whitecaps staff for helping make this event an excellent one!! Funding awarded to North Delta Soccer Club! We are pleased to announce that the North Delta Soccer Club was awarded $5,000 for funding for the purchase of equipment. This was a one time contribution and we gratefully acknowledge the financial support of the Province of British Columbia. Thanks to Scott Hamilton, MLA for coming out and presenting a cheque to our Director of Soccer Operations, Steve Rothmund. And a big thanks also goes to Kim Kendall, Constituency Assistant who was a big part of helping us with this funding! 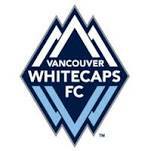 Former North Delta Soccer Player, Josh Bauman has been accepted into the Whitecaps Residency Program for the 2016.2017 season. Josh played with North Delta Soccer until U12 when he then went onto to the U13 Coastal BCSPL team for the 2015.2016 season. We are extremely proud of Josh and how far he has come. Congratulation Josh, well done! NEW C License Coaching Course replaces the B Pretest course in 2016! At our Annual General Meeting on April 24th, a new President was elected. Corrado Lenzi was voted as the President of the North Delta Soccer Club. Corrado is currently involved in the Club as a Men's Director for the Men's League. He currently coaches the U21 Team and is currently Coaching one of the U11 Spring Team. We are exciting to have Corrado join our Executive Team and look forward to a great season! These sessions will be held at Mackie & Delsom Turf. Coastal Cup winners B Cup! U16 Division 1 won the Coastal cup B this last weekend. They beat PUFC 3-1! A big Congratulations to all the Boys and Coaches! BMO KICKIN’ WITH THE ‘CAPS COMMUNITY CLINICS presented by BC1 - May 26! U - 16 North Delta United won their game on the Island this weekend. 2 - 1 in overtime! Congratulations Boys! U - 13 North Delta United lost to the Island team. Great job to get this far boys, your hardwork paid off! Next Saturday, April 23 - Delsom Turf, 2 big Soccer games in the Men's League!! Let's get out and support your North Delta teams for some great soccer! The Monday night coaches game is on Monday's, 9:00-10:00 pm Dennis Elsom Turf till June 25th. Drop in soccer for all abilities and ages. Friendly atmosphere, so come out for the run, some just for the social aspect. Also a great coaching resource, there is a wealth of coaching knowledge that you can pull from. Please be advised that all NDSC members are invited to the Annual General Meeing on Sunday, April 24, 2016 @ 7:00pm at Mackie Clubhouse. We will be presenting a new and updated constitution at the AGM. Our Herb Betts Jamboree was a great day and we were visted with a special guest! Scott Hamilton came out to hand out medals to our mini players. Thanks Scott! Thanks to all the Parents, Coaches, Players and Volunteers that made this day possible. It was an amazing event! DeDutch - 15% Discount for the Month of March! Our proud sponsor, DeDutch would like to offer North Delta Club Soccer Members a 15% discount off the entire bill until the end of March. Please mention that you are from North Delta Soccer! Please call 778-438 3838 to order. Please quote that you are from North Delta Soccer! U13 Team Celtic wins Delta Cup! A big congratulations to U13 Team Celtic for winning the Delta Cup Today! Well done boys!!! U18 vs North Delta Coaches GAME! Welcome to North Delta Soccer Club's new website! A big thank you to our Volunteer Webmaster, Mandeep Dhaliwal for creating our new and exciting website. We are still working on it so bare with us as we continue to ensure that all content is moved over and that everything is working as it should be. NDSC Announces 2 newest sponsors! We are exciting to have Fresh Slice Pizza and Delta Golf Club as North Delta Soccer Club's sponsors. 2017 Player Assessments Start in March! Player must register online and pay the $15 Assessment fee. A schedule of Assessment times will be posted on our website under schedules. Be sure to arrive early as players will be checked in and issued numbered pinnies that they will wear during the assessments. We want to make sure the players are on the field participating for the entire session. Players will be given the same number at each session. All players will attend the first two sessions and the third will be by invitation. Technical staff will address the parents at the start of the first session and the end of the second session. The Monday night coaches game is back on starting Monday 9:00 pm Dennis Elsom Turf January 25th. Drop in soccer for all abilities and ages. Friendly atmosphere, so come out for the run, some just for the social aspect. Also a great coaching resource, there is a wealth of coaching knowledge that you can pull from. North Delta Soccer Club welcomes LafargeHolcim as our newest sponsor! We are excited to have them on board! The North Delta Soccer Club cannot accept registrations from International Students. International Students are not allowed to play with any soccer club within Canada. For more information, please see information here.